We really appreciate that our customers will want to know where to buy dolls from now that we have closed. The websites below are Petalina’s friends. We know our customers will be served well by their honest and friendly owners. Some of our brands are not readily available from independent retailers (although I am still searching and have requested information from my suppliers) so below I have put in links to relevant selections on Amazon. If you are an independent retailer with a website and you would like to be added to our Where to Buy list, then please do get in touch for information. In the United Kingdom Gotz have now set up a shop on Amazon selling at their recommended prices and all are eligible for Prime and Free shipping in the UK. You’ll find most of the dolls, styling heads, clothes and accessories are available. Gotz has now set up it’s website again in the United States and there is a lot of stock available now (especially Hannah and Happy Kidz) with more coming soon. The new 2018 products are being tested for the US market as we speak and once available you will see them on the website. KR Bears and Dolls was one of first dolly websites to be launched in the UK. Run by my dolly friend Trisha Plant, this shop offers great value within the UK because Trisha offers free shipping on everything. Fast International shipping is also available. If you live outside of the UK please contact Trisha with a list of what you would like to purchase and ask for a shipping quote. Trisha stocks dolls from Gotz including Gotz Hannah dolls, Gotz Happy Kidz dolls, Gotz Precious Day dolls as well as lots of clothes and accessories. She also has Kathe Kruse Kruselings, Sylvia Natterer dolls by Petitcollin and Zwergnase. The website has been recently updated and stock is being added as we speak. Please do get in touch if there is something in particular you would like her to order for you. Remember to let her know that Petalina recommended her website to you. You may wonder what the KR is a reference to. Well it’s because the doll shop is part of Trisha’s cook shop which sells kitchen ranges and the most amazing selection of cooking gadgets. 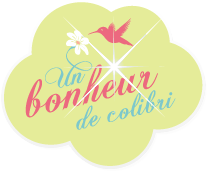 Un bonheur de colibri was founded by Alexandra Brouet, a lady with a passion for beautiful dolls! The business is based in Narbonne France and is run by Alexandra with the help of her husband Emmanuel and they have the best range of dolls you will find anywhere in the world which keeps growing all the time. They stock dolls suitable for children but also for collectors only and you will find many of the brands we used to sell at Petalina including Gotz, Petitcollin Sylvia Natterer, Kidz ‘n’ Cats, Maru and Friends, Zwergnase, Miaculti babies, Paola Reina, Hearts 4 Hearts and many more. Please don’t be put off by the French language, but if you would prefer not to order on the website, you can email the incredibly helpful owner Emmanuel via the contact page and he will put orders together for you in English. Delivery to the UK is €9.95 (about £8.75) and you can order a great deal for this. Fast delivery around the rest of the world is also available with prices on request. When you open an account you will earn 4% in loyalty points with each order, and don’t forget to mention Petalina when you get in touch to ensure you receive a free gift when you spend over 90 Euros (excluding shipping). At Petalina we have always loved Bonnie & Pearl dolls and the outfits are the best around. You can purchase from their own website where you will find exclusive outfits and excellent prices on everything at the moment. Nicola and Hayley are incredibly helpful and such fun, that we know you will be well looked after by them. Please don’t forget to mention Petalina when you place your order or contact them with questions. A Girl for All Time, an inspirational brand founded by Frances Cain. There is still so much happening at A Girl for All Time with two new dolls being launched in 2018 and more in the pipeline. We will keep bringing you news and sharing their beautiful photographs, and to purchase, please visit their website where you can sign up to receive news and receive a discount code for your first purchase. Our Generation is becoming increasingly popular in the UK at the moment because of their excellent value and variety of dolls, clothes and accessories. I recently met Alison, the brains behind the UK’s Our Generation World website and she is as passionate about dolls and doll play as I am. In fact, it’s great to support another independent family run website. You will love the beautiful Bijou website brimming with beautiful toys including Moulin Roty and lots of other gorgeous brands. We don’t know the owners of this shop and cannot comment on service levels, but the range is lovely. For La Nina products there are lots of retailers in the UK. Just Google La Nina Prams and several will come up to choose from. We have made enquiries to find small retailers of Antonio Juan, Llorens and Corolle, with a good selection, but at the moment the best availability can be found on Amazon. Please note that all links to Amazon and eBay on the Petalina blog are affiliate links, which means we may earn a small commission if a reader clicks through and makes a purchase. This does not affect the price you pay for something but it does help me cover the costs of running this blog. All of my opinions are very much my own and are not influenced in any way by any advertiser or commercial initiative.